We humans may still be licking our wounds following AI's victory at the ancient game of Go, but it turns out we still have something to be proud of: We're doing a lot better than machines are at solving some of the key problems of quantum computing. Quantum mechanics are notoriously mind-bending because so-called "qubits" -- the atomic-scale building blocks of quantum computers -- can inhabit more than one physical state at once. That's known as superposition, and it's what gives the prospect of quantum computers their exciting potential. It's just potential at this point, however, because there are still many, many challenges to be solved before we can create a working quantum computer. That's where gaming comes in. 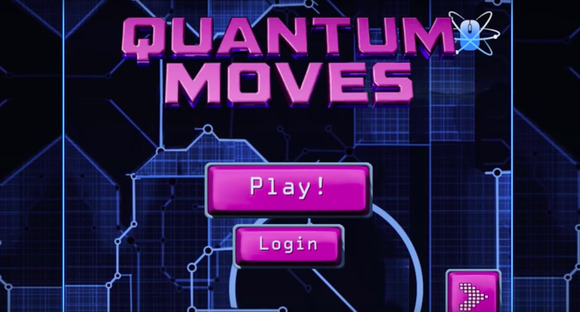 Researchers at Danish Aarhus University have created a bunch of online games to turn key quantum problems into fun challenges, and, to put it bluntly, they're finding that humans are whipping AI's pants. A recent study focused on the game Quantum Moves, which is based on a real problem in quantum computing. Essentially, players are asked to move an atom among wells in an egg-carton-like container without disturbing the delicate quantum state. Scientists have already tried to solve the problem with algorithms, but in the study, humans did much better. More than 10,000 people have played the game on the university's ScienceAtHome platform, and their intuition-driven approaches have resulted in better solutions. Using them, the researchers have created human-machine hybrid methods that efficiently outperform the best numerical ones. "With the problem underlying Quantum Moves, we give the computer every chance to beat us," said Jacob Sherson, an associate professor in the department of physics and astronomy at the university. "Yet, over and over again we see that players are more efficient than machines at solving the problem." Where an algorithm would go through all the available options, human players automatically search for a solution that intuitively feels right, he added. Through their gaming platform, the researchers hope to tap the power of human intuition to speed the development of working quantum computers. "If we can teach computers to recognize these good solutions, calculations will be much faster," Sherson said. "In a sense, we are downloading our common intuition to the computer." The researchers' games are available online for anyone to download or play. An article describing the study was published Wednesday in the journal Nature.